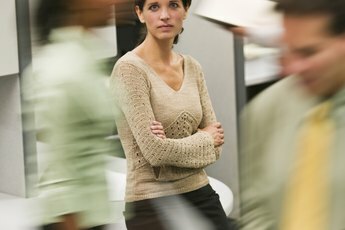 Women have increasingly found opportunities to become CEOs. The primary role of a CEO is to provide overall direction for a company. While the impact a CEO has on a business varies based on its size and scope, several common responsibilities fall into the role of guiding company operations. 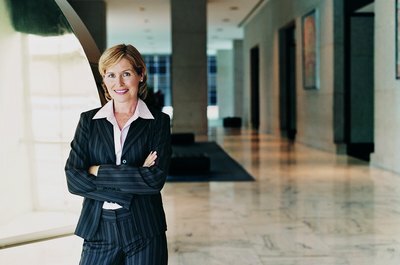 Women have gained in executive leadership careers, but an October 2011 "USA Today" article noted that only 3.2 percent of publicly owned CEOs were women. While people have a tendency to rest on their laurels, CEOs don't have that luxury. A key role of the executive is to offer vision and direction to the company. 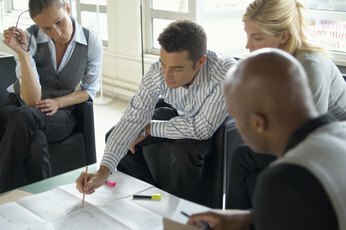 This includes formulating a mission and goals, developing strategic policies to match, and communicating plans within the management team and throughout the organization. In this role, the CEO also communicates the company's vision to the public, especially for a publicly owned corporation. While the CEO oversees the day-to-day operation of a business, she is ultimately accountable to a board of directors that represents the interests of company owners. CEOs typically participate in regular board meetings, offering updates to the board on company direction and progress, and receiving feedback from the board on its objectives and expectations. 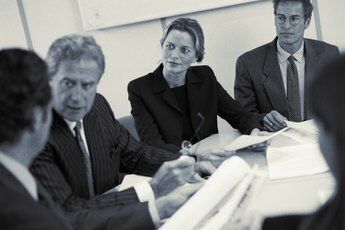 Company boards establish governance policies that give the CEO guidance on how to lead the company. Every organization has a work culture, whether intended or not. Proactive and effective CEOs recognize the importance of building and maintaining a positive workplace that exhibits values shared by company leaders and employees. Policy setting plays a major role in cultural development. A CEO who wants to instill a family-oriented workplace, for instance, would set policies that promote work-life balance and encourage opportunities for employees to gain friendly relationships with coworkers. Not all the duties of a manager are glamorous. CEOs must establish policies for the workplace and company operations. This includes coordinating employment policies with human resources and sales and service polices with leaders in those functional areas. Yahoo! CEO Marissa Mayer stirred controversy in late February when she revoked the company's long-held policy of using telecommuting employees. Mayer insisted the telecommuters report to the office for work or lose their jobs. Her moved sparked controversy given the previous trend toward telecommuting, but it also showed the tough calls CEOs must make. Is Construction Management a Good Career to Go Into?